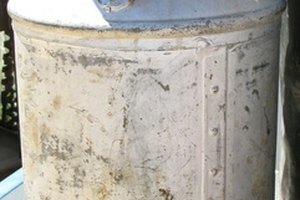 Can You "Sour" Almond Milk With Vinegar? 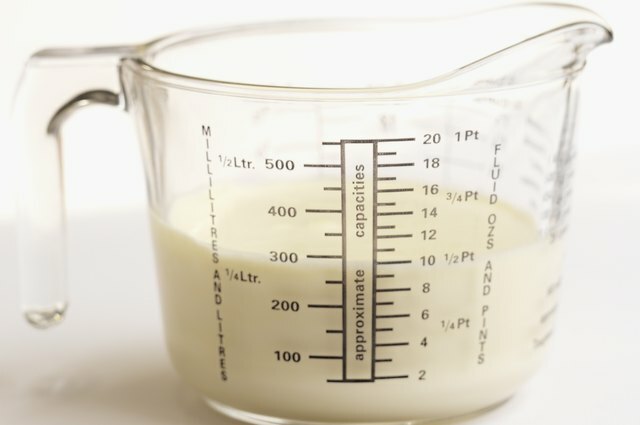 Any nondairy milk, whether made of almonds, rice, oats or soy, can be turned into sour buttermilk by the addition of vinegar or lemon juice, advises Colleen Patrick-Goudreau in "The Joy of Vegan Baking." Add 1 tablespoon of vinegar or lemon juice to every cup of almond milk or other nondairy milk called for in the recipe. Wait 10 minutes and you will have a curdled, thick buttermilk. Commercial dairies make buttermilk by adding lactic acid bacteria, which acts as a souring agent. In home kitchens, lemon juice or vinegar does a similar job of souring dairy or nondairy milk. 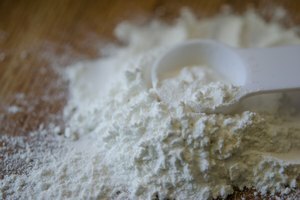 The resulting buttermilk, when used in addition to baking soda, adds lightness, moisture and flavor to yeast and quick breads. Buttermilk's acidity can also help tenderize meat and poultry when mixed into marinades. Buttermilk also adds creaminess and flavor to soups and salad dressings. 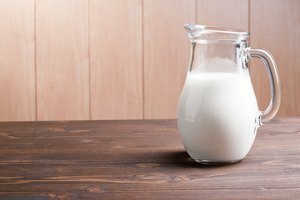 If you are adopting nondairy cooking methods, you won't notice much difference when substituting soured almond or other nondairy milks for dairy buttermilk. 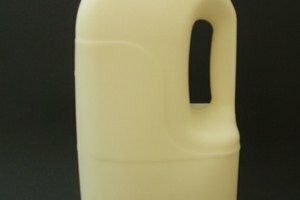 Each milk variety will, however, bring a hint of its own unique flavor. When substituting these, use the same measurements as called for in the original recipe. You won't need to make any other adjustments. 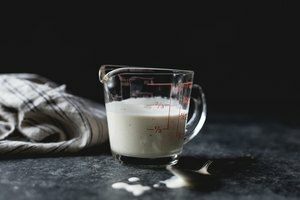 Keep in mind that rice milk is watery, compared to the thicker soy and almond milks, and not the best choice for a buttermilk alternative in baking. Once you've mastered turning almond or other milks into buttermilk, you can start baking a variety of traditional recipes -- such as bread, scones, biscuits, soda bread and brown bread. Bread made with buttermilk is tender and lightweight, a result of the conditioning effect buttermilk has on wheat gluten. 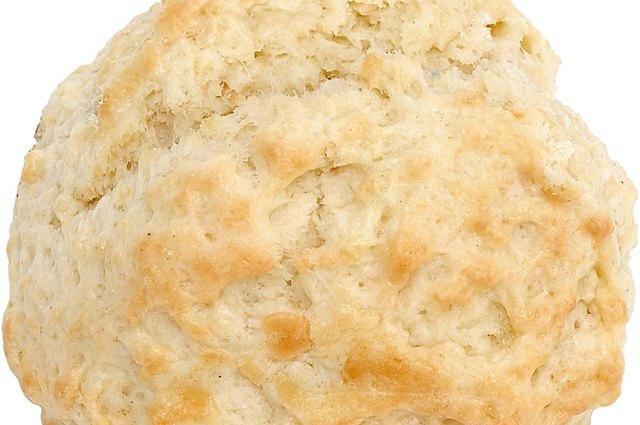 When kneading buttermilk bread dough or mixing scones and biscuits, be careful not to overwork this tenderized gluten. For Irish soda bread and brown bread, the acidity of the buttermilk (from the vinegar or lemon juice) activates the baking soda, causing the bread to rise. Your soured almond milk will work well in creamed soups, such as asparagus or broccoli, by adding a sharpness that enhances the flavors of the vegetables. Substitute nondairy buttermilk for the cream or milk called for in the original recipe. Nondairy buttermilk will also work well as an ingredient in meat and poultry marinades. Substitute your nondairy version for the dairy variety and mix in the other herbs and spices that the recipe calls for.